The Prince Albert II of Monaco Foundation, the Annenberg Retreat at Sunnylands, and the Scripps Institution of Oceanography at UC San Diego will hold a meeting at Sunnylands in October about rising sea levels and ocean acidification, it was announced Wednesday. The meeting at the Rancho Mirage estate of Ambassador Walter Annenberg will “address two of the most pressing issues impacting our planet,” according to a statement from Sunnylands, and is being convened by Albert, Monaco’s reigning monarch; Margaret Leinen, director of the Scripps Institution and vice chancellor for Marine Sciences at UC San Diego; and Geoffrey Cowan, president of the Annenberg Foundation Trust at Sunnylands. A date wasn’t announced. Participants will include policymakers, scientists and engineers, according to Sunnylands. 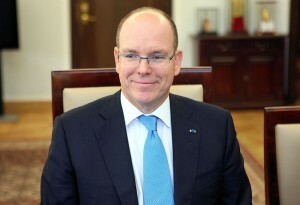 The meeting will be followed by the Prince Albert II of Monaco Foundation Awards, which the prince will attend. The awards will recognize “excellence in … climate change and renewable energies, biodiversity, and integrated and sustainable water management,” according to the statement.